Clyde Leland Holscher, 94, of Topeka, passed away on Friday, November 30, 2018. He was born October 6, 1924 in Solomon, Kansas, the son of John and Dollie Holscher. Survivors include his children, Clyde Holscher Jr. (Kathy), Mary Price (John), David Holscher (Dianna), special friend Eula Wenger, three grandchildren, and five great-grandchildren. 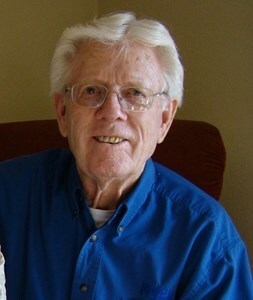 Clyde was preceded in death by his son John Holscher and one grandson. There will be a private family memorial in Council Grove, Kansas at a later time. Add your memories to the guest book of Clyde Holscher. Remember his dry sense of humor so well when you all lived on Kentucky. Sheila and my prayers and sympathy are with you all. God Bless you. My dear, wonderful Uncle Clyde. I cannot believe that you are gone at only 94 years of age. I had so many very good times with you. You sister Berniece is really going to miss you. Out of 12 children, there are only Berniece and Leo left in the immediate family. We will truly miss you, your jokes, your teasing and your sweet presence in our family.